Here an update on moisture for the 2018 winter wheat crop. For those not familiar, here is a map of where hard red winter wheat is produced in the United States. The darker the green, the higher the production. A month ago there was a great deal of concern about inadequate soil moisture. As we will see, that concern has greatly eased. 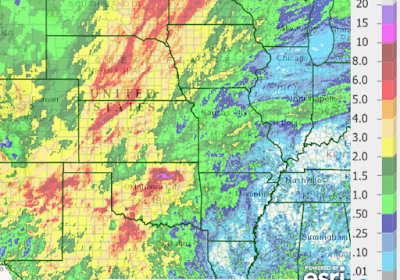 Below is a map of the rainfall that has fallen in the winter wheat belt in the last two weeks. Some amounts of more than ten inches caused flash flooding west of Tulsa yesterday day. In some scattered areas, there have been reports of crop washouts. 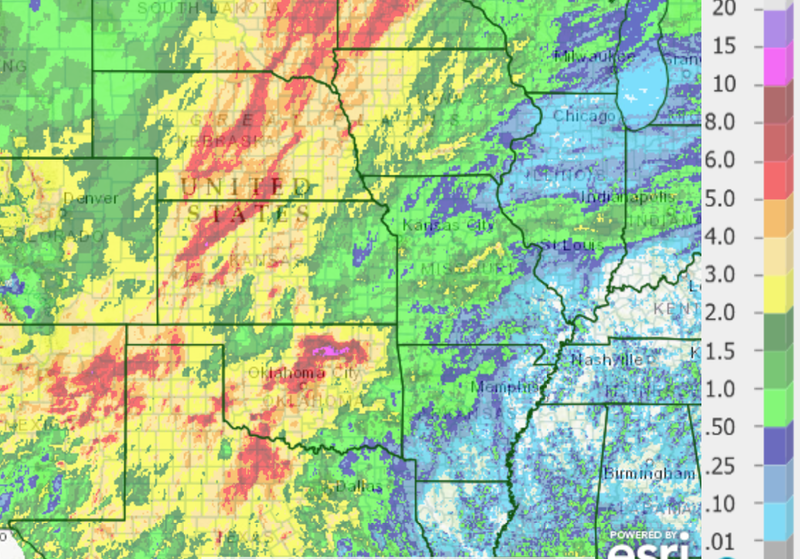 Otherwise, moisture has been generous through the winter wheat belt. The seven day rainfall amount forecast (in inches) reveals that additional rains are forecast. 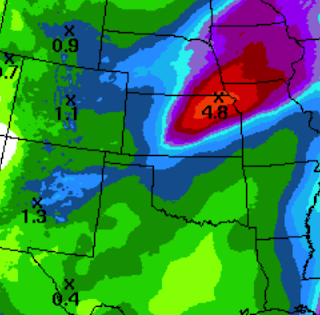 If these rains materialize as forecast, it is likely there will be at least adequate rains to carry the crop until it becomes dormant this winter.